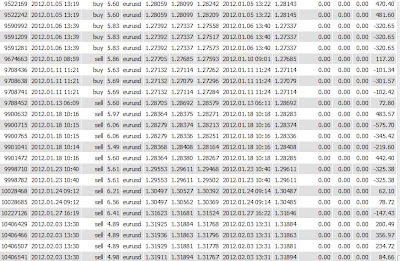 Million dollar pips trade primary EURUSR currency with built in money management by monitoring the account balance to increment/decrement the trade lot size. Most trades are triggered during the low peak hours of 1000 to 1400 hours (up to 70% of all trades). 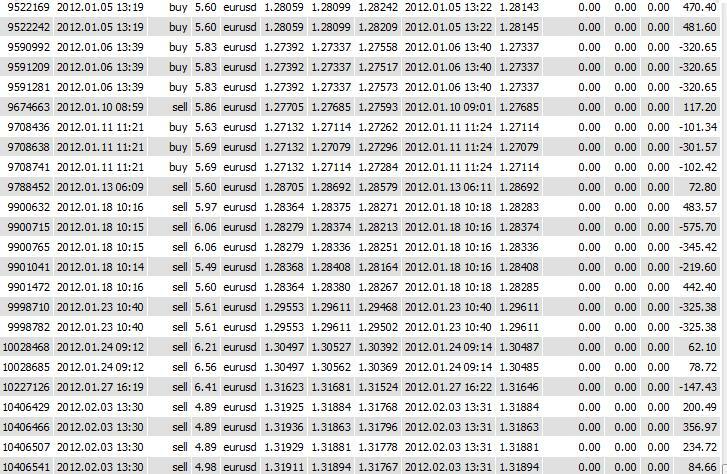 The trade take profit are between 10 to 20 pips. The stoploss are fix between 5 to 15 pips. Thus achieving a balance win and loss trades but with a high profit to loss ratio.